CarGurus has 21,194 nationwide Impala listings starting at $950. In 1959, the Chevrolet Impala went from being the Bel Air Impala to its own model. As if swelling with pride, the car grew: It was longer, wider, and more ornate, with tailfins second in size only to those on Cadillacs. The base engine remained the 235.5-cubic-inch inline six rated at 145 horsepower, with an optional fuel-injected 283-ci V8 rated at 290 horsepower becoming the motor that all envied. Other engines are listed below. 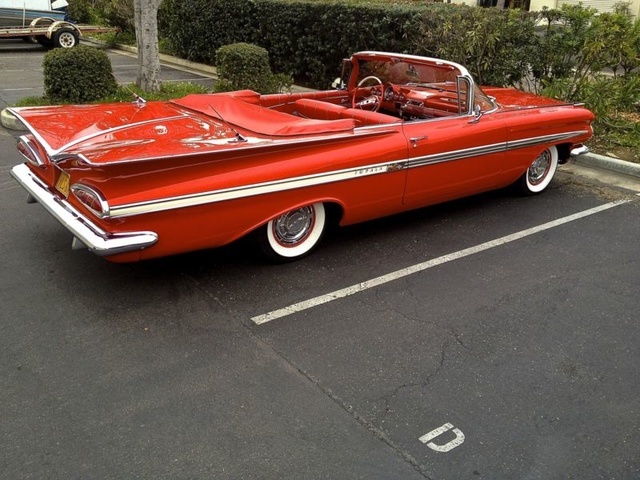 What's your take on the 1959 Chevrolet Impala? 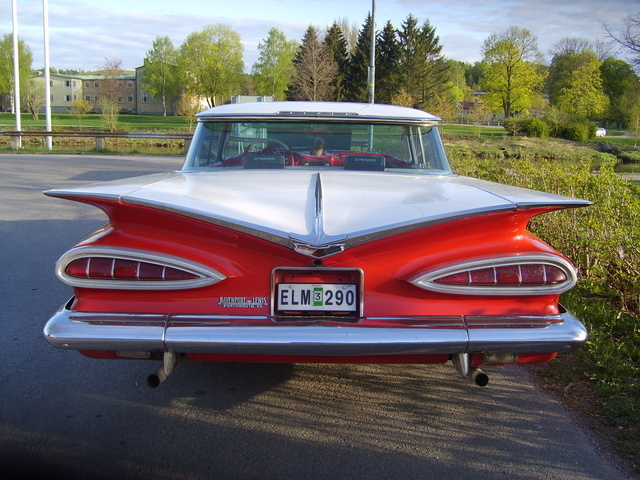 Have you driven a 1959 Chevrolet Impala?